The second par 4 dog leg of the course running alongside the clubhouse. 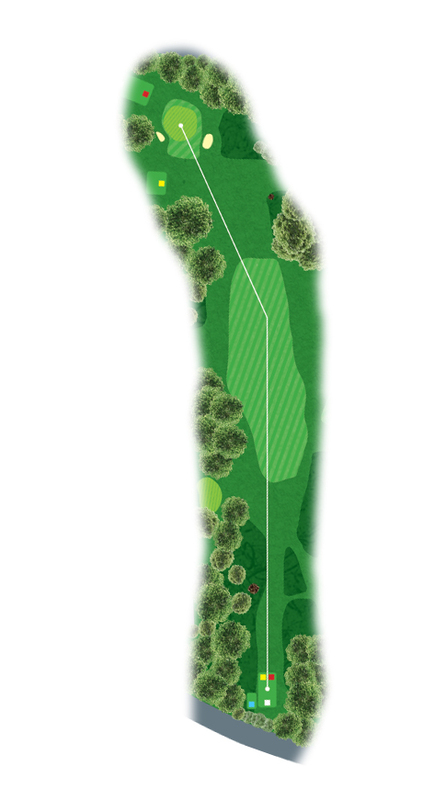 A right to left shaped hole to finish of the front 9 requires a drive to right hand side of the fairway. This will allow you a clear approach to the green, protected by bunkers either side of it.